We have seen a huge increase in popularity for marble over the last few years and it’s a material that is being used in prety much every homes. Whether it’s in the form of kitchen accessories, table tops, tableware, printed soft furnishings, marble is such a gorgeous material with a beautiful pattern, you will always feel you have a unique piece in your home. This year has seen marble mixed with pastels and metalics; copper, brass & gold. We now see marble in a more basic form, appreciating its character without the additions of colour working alongside it. Table tops are being seen with simple black metal or wooden legs, and vases and accessories apear less fussy. [ Look out for the additions of black & white to compliment a piece ]. And of course this means you can opt for any wall colour you like as you won’t need to worry about clashing tones. The Urban Outfitters sale is a great place to get hugely discounted homeware and furniture. 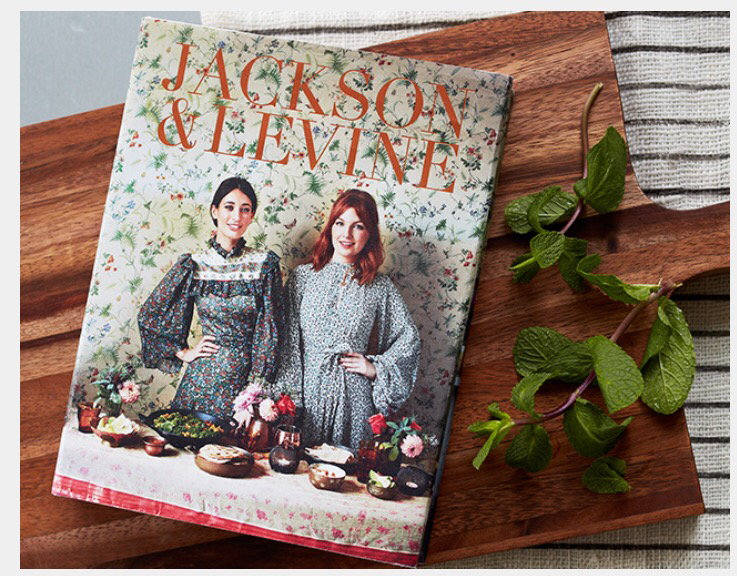 Often full of unique on-trend pieces to update the home. Their rugs are always great designs and quality. We found this large natural jute rug with a little dash of colour reduced from £120 to £60. 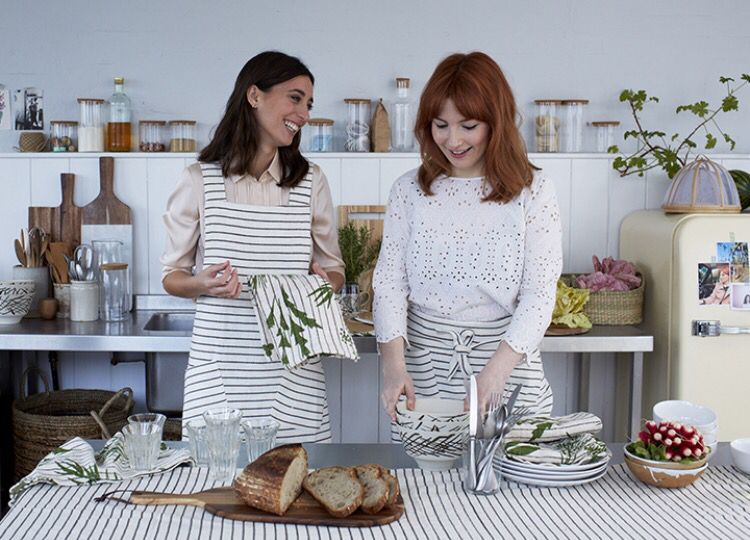 Authors and culinary geniuses, Alice Levine and Laura Jackson, two women synonymous with the famous supper clubs in London, have joined Habitat and released a gorgeous collection of homeware. A combination of organic and influenced by nature styles, with earthy ceramics, coloured glass, printed leaf fabrics and woods. Beautiful pieces with prices from £8. 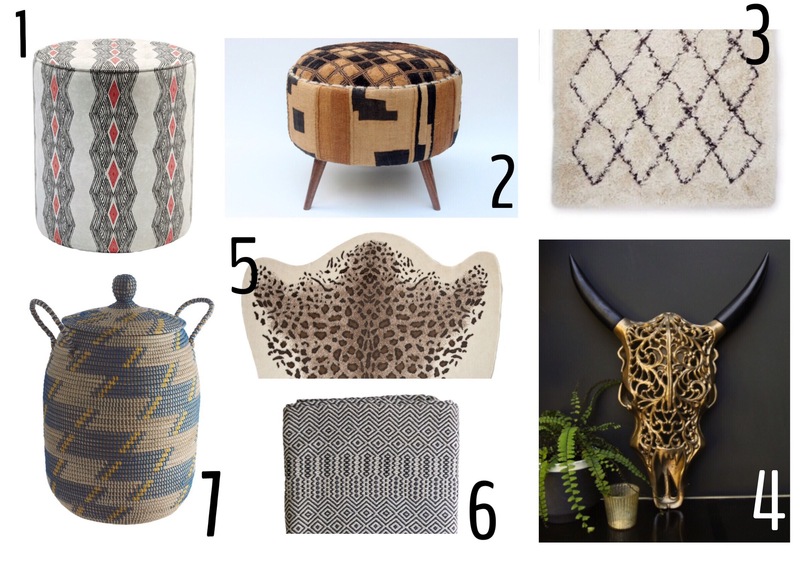 Embrace the pattern, layering and textures of the Out Of Africa trend. 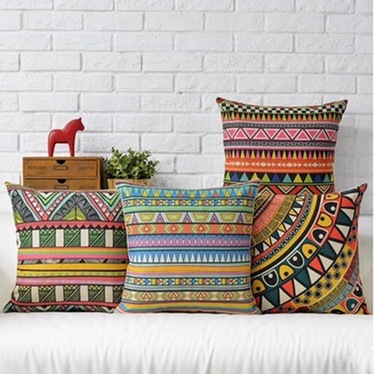 Build up natural tones, textures of faux animal skins, furs and dark woods but inject colour with the plethora of bright and colourful African fabrics in cushions and throws. For storage use woven baskets and wooden boxes, add in accessories of ornamental elephants and masks and bring the outside in with lots of indoor planting.